SAS, VIT University, Vellore, Tamilnadu, India, 632 014. Copyright: © 2014 M. Yamuna et al, publisher and licensee IYPF. This is an Open Access article which permits unrestricted noncommercial use, provided the original work is properly cited. Modern living styles and change is food habits have lead to new diseases and this number is getting multiplied. Research regarding finding medicines for these diseases is in active process and new drugs get released in market frequent. 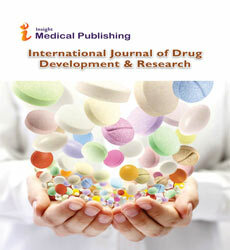 In developing these new drugs communicating details of these findings cannot be avoided. Any drug is best represented using its molecular formula. In this paper we have developed a new binary periodic table and hence use this for encrypting details about any drug. periodic table, molecular formula, binary string, encryption. In cryptography, encryption is the process of encoding messages or information in such a way that only authorized parties can read it. Encryption doesn't prevent hacking but it reduces the likelihood that the hacker will be able to read the data that is encrypted. In an encryption scheme, the message or information, referred to as plaintext, is encrypted using an encryption algorithm, turning it into an unreadable ciphertext. This is usually done with the use of an encryption key, which specifies how the message is to be encoded. Any adversary that can see the ciphertext should not be able to determine anything about the original message. An authorized party, however, is able to decode the ciphertext using a decryption algorithm, that usually requires a secret decryption key, that adversaries do not have access to. For technical reasons, an encryption scheme usually needs a key – generation algorithm to randomly produce keys . The periodic table of the chemical elements is a table that displays all known chemical elements in a systematic way. The elements in the periodic table are ordered by their atomic number (Z) and are arranged in periods (horizontal rows) and groups (vertical columns). The layout of the periodic table is designed to illustrate periodic trends, similarities and differences in the properties of the elements . Step 1: Code S into a binary sequence by using the binary coding rule. Thus the sequence s will now become 000110101111101010000111001. Step 2: Divide S into segments, whereby each segment contains k bits. Suppose k is 3. Then there are the following segments: 0000, 110, 101, 111, 010, 100, 001, 110, 01. Step 3: Inserts bits from M, one at a time, into the beginning of segments of S. The result is as follows: 000, 1110, 0101, 0111, 1010, 1100, 0001, 0110, 01. Those segments without any secret message inserted should be ignored. Thus, there are the following binary sequence: 00001110010101111010110000010110. Step 4: Use the inverse function of the binary coding rule to produce the following faked DNA sequence: S’=AATGCCCTGGTAACCG. As the reader can see, this sequence is quite different from S.
Step 5: Send the above sequence S’ to the receiver. In mathematics and digital electronics, a binary number is a number expressed in the binary numeral system, or base – 2 numeral system, which represents numeric values using two different symbols: typically 0 (zero) and 1 (one). More specifically, the usual base - 2 system is a positional notation with a radix of 2. Because of its straightforward implementation in digital electronic circuitry using logic gates, the binary system is used internally by almost all modern computers and computer-based devices such as mobile phones [ 4 ]. Replace each atomic number into binary representation. In this section we have provide a construction of binary table and hence use it for encrypting details about any exiting drug or any new finding. We can use any one of the values either atomic number or atomic weight of the chemical elements for binary conversion. We shall construct a table based on the chemical element’s atomic numbers. Using the usual periodic table 1 as the base table we generate the following binary table. Any molecular formula is a combination of chemical elements and numbers. We use this molecular formula for generating a binary string of the drug. A numerical value in the chemical formula represents the number of times the chemical element occurs in the drug. We replace the numbers by the original chemical elements itself. For example Na3Cl2 is replaced by NaNaNaClCl. Then we replace each elements by its corresponding 8 bit code. In the above example from Table 2 Na is replaced by 11 11 11 and Cl by 17 17 17 to obtain the binary string 00001011 00001011 00001011 00010001 00010001. Step 1: Let S be the molecular formula for any drug. Step 2: Convert S into S1 as explained in section3.2 Step 3: Replace each chemical element by its corresponding binary string S2 using Table – 2. Step 4: Obtain a new binary string S3 using the insertion method explained in section 2.1. Step 5: Send S3 to the receiver. By reversing the procedure we can decrypt the binary string into its corresponding chemical formula for the particular drug. S: CCCCCCCCHHHHHHHHHHHNNNNNOOO Convert each chemical element into its corresponding atomic numbers. S2: 00000110 00000110 00000110 00000110 00000110 00000110 00000110 00000110 00000001 00000001 00000001 00000001 00000001 00000001 00000001 00000001 00000001 00000001 00000001 00000111 00000111 00000111 00000111 00000111 00001000 00001000 00001000 We now use the insertion method to insert string S2 into M. We divide M into segments of length k = 1 and insert S2. 00000000001111100010100010110110001010100011 01100010001010011100000000000011111000000010 10010110100000000001111010101000100111001000 10100000000110001010101010110000000000001011 00100010001000110000001010001011010101000000 00011000000000000101110100010100010110000001 01010100110100010001000010000000010100011001 00010100111110010001000110111001000100001010 10010101000010101001010001011111100101010010 000000 000000011101010 00000000010000000. Note that the red color numbers represents the original one. S3: 00000000001111100010100010110110001010100011 01100010001010011100000000000011111000000010 10010110100000000001111010101000100111001000 10100000000110001010101010110000000000001011 00100010001000110000001010001011010101000000 00011000000000000101110100010100010110000001 01010100110100010001000010000000010100011001 00010100111110010001000110111001000100001010 10010101000010101001010001011111100101010010 000000 000000011101010 00000000010000000. By using Table 2 convert each bit into atomic numbers. From this we can obtain the original chemical formula for MDMA (3,4-methylenedioxy-Nmethylamphetamine. A binary string can be of any length and numerous binary strings are available in public domain. So it is difficult to find the difference between a fake binary string and the encrypted one. We have used insertion method. So all the advantages of encrypting a message using this method applies here also. Moreover since each chemical element is converted into a binary string, it is difficult for anyone to guess this as a chemical formula since a periodic table using binary string is not in use. 3) Shiu H.J, Ng K.L, Fang J.F, Lee R.C.T, Huang C.H. Data hiding methods based upon DNA sequences, Information Sciences 2010; 180: 2196 – 2208.